the ball is what a general wants in a soldier. According to the Civil War Cookbook, the best coffee was slow roasted over a low fire, "until of a chestnut brown color and not burnt, as is so commonly done." It was to be boiled briskly for two minutes, then taken from the fire at once, a little cold water thrown in, then the boiler's contents poured through a piece of flannel after it had settled for five minutes." The love of coffee spread after the war as veterans from both North and South headed out to make their fortunes in the growing cattle industry, and in the gold, silver and copper mines of the West. Coffee has been a staple of cowboy cuisine since the days of the great cattle drives. The cowboy’s job was to bring herds of half-wild Mexican cattle through the range to the rail heads. After working cattle for hours, the cowboy was hungry. He welcomed the cookie’s call to "Come an' get it." With his famished appetite, he was prepared to chow down. The cookie's job was to prepare steaks, create stews, cook the beans, bake sourdough biscuits, and boil coffee. The staple of the cowboy was coffee. It kept him awake. It kept him alert for dangers on the trail. And to do that, it had to be black and strong. Western artists and writers such as Frederic Remington, Charles Russell, Zane Grey and Louis L’Amour have embellished images of cowpokes brewing coffee over chuck wagon stoves and blazing campfires. And every Western film and every TV oater has featured those same scenes. 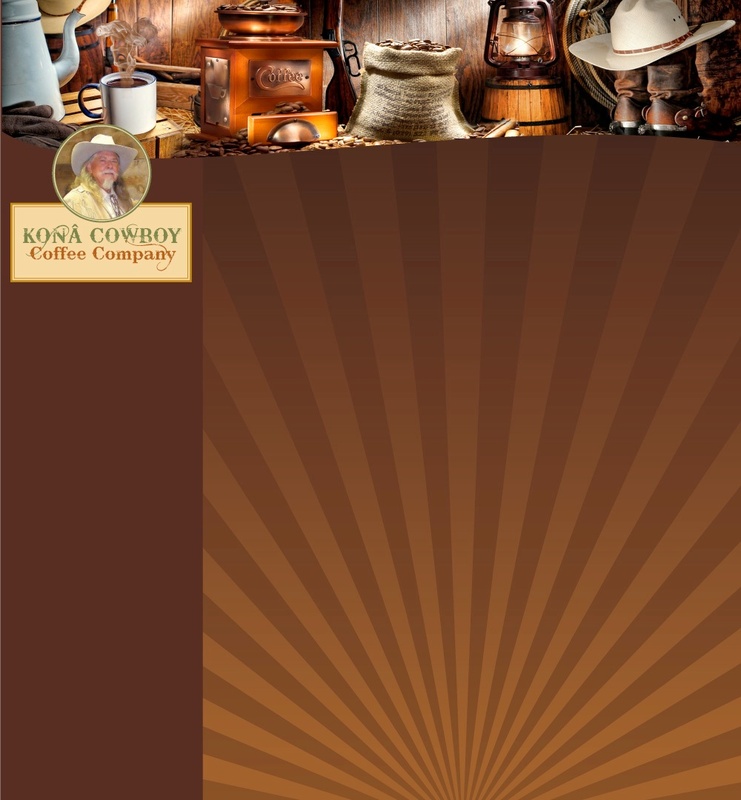 Thanks to history and legend, cowboys and coffee have been paired forever...and the Kona Cowboy Coffee Company has just what you're been craving.